The collateral damage from the early March poisoning of a Russian spy in London who turned against his country soon will be felt in Alaska. 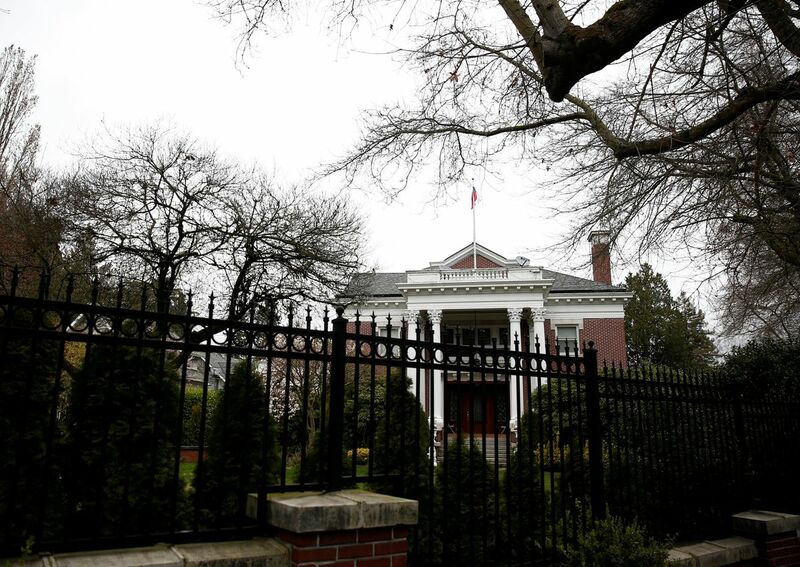 The Russian consulate in Seattle, which Alaska business and civic leaders encouraged to be opened in 1992 at the height of productive U.S.-Russian relations and where hundreds of Alaskans obtained visas to visit the Russian Far East, has been ordered shuttered. The unfortunate closure adds another major hurdle to efforts by Alaskan and Russian "citizen diplomats" to pursue joint business ventures and cultural exchanges, despite the antics of their national governments. A satellite of the Russian embassy in Washington, D.C., the Seattle consulate was especially adept at unsticking the high security red tape required for travel to remote Russian Bering Strait villages. Consulate staff are well regarded by the Alaska and Pacific Northwest business community for encouraging US-Russian interactions. The shutdown is the latest development in a four-year deterioration in US-Russian relations. Shortly after its election in 2009, the Obama administration attempted to "re-set" America's relationship with Russia through a US-Russia Bilateral Presidential Commission. Sixty Russian and American government agencies supported cooperation in 19 areas, from arms control to education. But after Russia's incursion into Ukraine five years later, relations quickly eroded. The U.S. suspended cooperative activities and imposed sanctions on Russia, including targeting many of President Putin's key associates. Despite campaign promises to improve U.S.-Russia ties, the Trump administration's schizophrenic policies toward Russia have contributed to the worst state of affairs between the two countries in half a century. In early March, in a scene out of the current Cold War TV show, The Americans, Britain expelled two dozen Russian diplomats after the mysterious poisoning of a former Russian intelligence officer and his daughter who sold secrets to England. Only after pressure from western allies, did President Trump end his year-long praise of Vladimir Putin. He reluctantly joined a 23-country coalition to expel 60 Russian diplomats from the US and ordered the Seattle consulate closed. Certainly the West cannot tolerate Russian attacks on citizens living in other countries. The list is long of other Russian misdeeds committed against the US and its western allies in recent years for which it has faced virtually no consequences. Yet cutting back the number of Russian spies operating in the US and Europe is only a minor setback to President Putin. By weakening the overall western coalition against his country and helping elect a new malleable US president, Putin already has achieved numerous objectives toward his larger goal of making Russia great again. Within 48 hours of Trump ordering the Seattle consulate closed, Russia upped the ante by shutting down the US consulate in St. Petersburg, a larger and more significant operation than Seattle. It spared the U..S consulate in Russia's Pacific seaport of Vladivostok, which would have been double-whammy for Alaska. The Vladivostok consulate was the last American diplomatic mission closed after the Soviet Revolution and reopened in 1992 at a behest of Alaska and Pacific Northwest business leaders. Ironically, just a week ago President Trump congratulated his Russian counterpart on his re-election, widely regarded in the West as fraudulent. In their next phone call, the two leaders should try another effort to re-set U.S.-Russia relations by encouraging the successful model of citizen diplomacy when average Alaskans and Russians melted the "Ice Curtain" to help end the Cold War. Starting in the mid-1980s, residents on both sides of the Bering Strait launched joint business ventures, exchanged hundreds of civic and cultural groups from Cub Scouts to cold water swimmers and dramatically increased mutual understanding of each other. Explore areas of common interest. By recasting the U.S.-Russia bilateral commission, both countries should identify areas for cooperation, from nuclear energy to sports exchanges. The earlier effort was suspended after Russia's annexation of the Crimea, an act Trump seems eager to forgive. Jointly manage a changing Arctic. With nearly half the world's Arctic within Russian borders and the U.S. an Arctic nation only because of Alaska, the Bering Strait should be the focus of U.S.-Russia Arctic cooperation. Modest joint scientific cooperation continues today, but should be expanded to better understand the impacts of climate change on the Arctic and manage newly possible resource development. Improve ties between indigenous peoples. A lasting initiative of Alaska-Russia cooperation in the 1980s was visa-free travel for Native peoples. Yet today actual contacts across the strait are rare, burdened by bureaucracy and costly travel. Both countries should invest in an affordable transportation link to span the 55 miles between mainland Alaska and Russia. Threats of using a big stick have failed to alter Russian behavior, so the U.S. has nothing to lose dangling a carrot. History proves that regardless of how bad relations get, it always helps to keeping talking. David Ramseur is a former aide to two Alaska governors and Sen. Mark Begich, and the author of "Melting the Ice Curtain: The Extraordinary Story of Citizen Diplomacy on the Russia-Alaska Frontier," published by University of Alaska Press.